Home / Podcasts / Themes / Impact of the Cold War on British and US Families. Impact of the Cold War on British and US Families. In this podcast Dr Matthew Grant of Teeside University examines the effect of the Cold War on ordinary people in the US and UK. 1. Living in the atomic and nuclear age. National Service. 2. Communist witchhunts in the US. McCarthyism. 3. Communists discriminated against in Britain but essentially left alone. 4. The Cuban Missile Crisis. 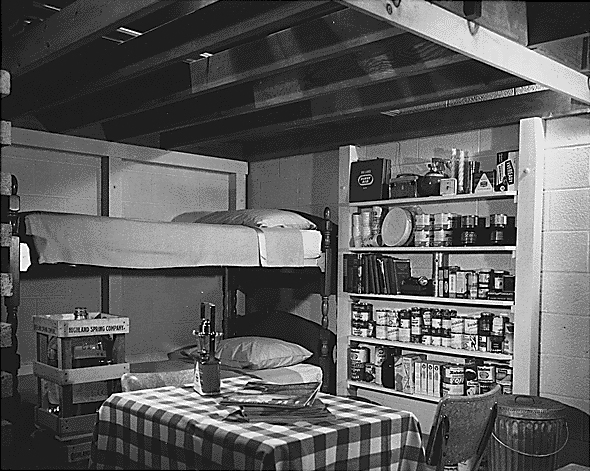 Underground shelters in the US. 5. Britain's perception of the prospect of Nuclear War. CND.